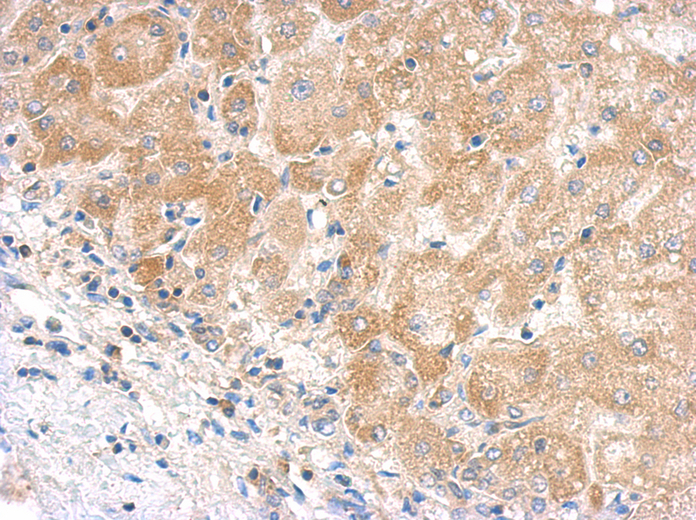 Complement C5 antibody LS-C186223 is an unconjugated rabbit polyclonal antibody to human Complement C5. Validated for IHC and WB. Complement C5 antibody was raised against recombinant fragment corresponding to a region within amino acids 1223 and 1451 of C5 (SwissProt P01031). Percent identity by BLAST analysis: Human (100%); Pig (80%). 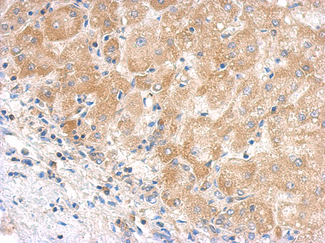 IHC of paraffin-embedded hepatoma using C5 antibody antibody at 1:500 dilution. 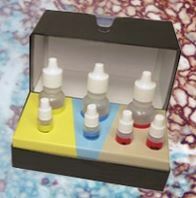 Sample (30 ug of whole cell lysate). A: H1299. 5% SDS PAGE. 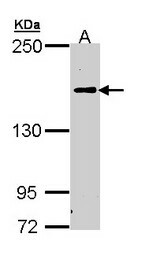 Complement C5 antibody diluted at 1:1000.